This week we're raising our glass in honor of John Muir, who will be turning 179 this Friday! Originally from Scotland, Muir's family moved to America when he was just 11 years old. An innately inventive and nature-inspired man, he eventually built a cabin in Yosemite Valley after a stint of getting to know the Sierra as a sheep herder, and he made the extraordinary place his home. 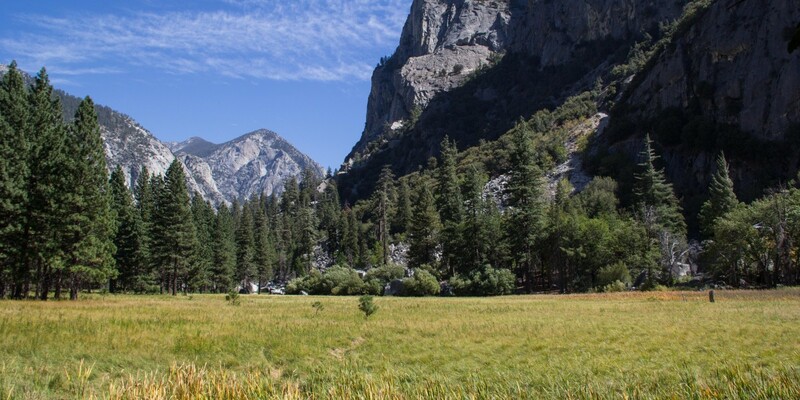 Muir dedicated his life to understanding and conserving the Sierra Nevada. He was well known for taking extensive exploratory outings deep into the mountainous backcountry in nothing more than his woolen suit. His experiences led him to become America's foremost wilderness preservationist. He founded the Sierra Club, and his work was fundamental to protecting Yosemite Valley, Sequoia and Kings Canyon National Parks, as well as all the other national park lands in the country. By the time of his death, Muir had written extensively on his time and experiences in the Sierra and inspired generations of outdoor enthusiasts and activists. His legacy is as important now as it was when the National Park Service was founded in 1890. In honor of John Muir's birthday, here are eight places where he spent considerable time and where you to can walk in his footsteps. The first four on the list are open year round, and the last four will be accessible once the Sierra high country roads are opened. Up close view of Yosemite Falls. Photo by Jonathan Matthews. 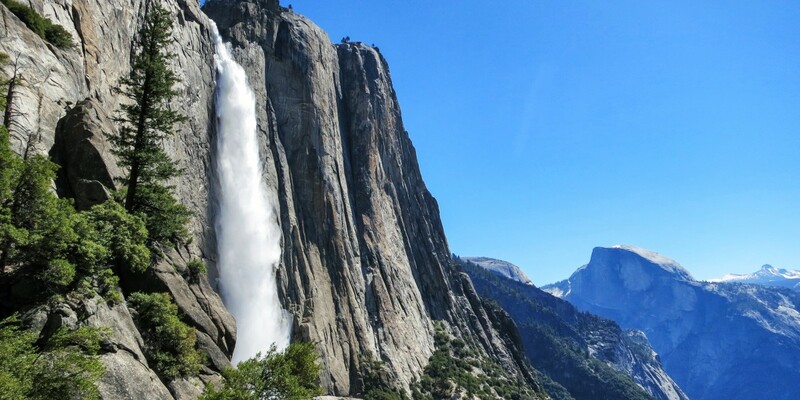 Yosemite Falls is the tallest waterfall in the United States. It's best viewed in the spring when melting snow creates a voluminous cascade. Taking in the westward view toward El Capitan and Cathedral Rocks from the Four Mile Trail to Glacier Point. Photo by Aron Bosworth. A hearty hike on the Four Mile Trail to Glacier Point has some of the most stunning views of Yosemite Valley along the trail. 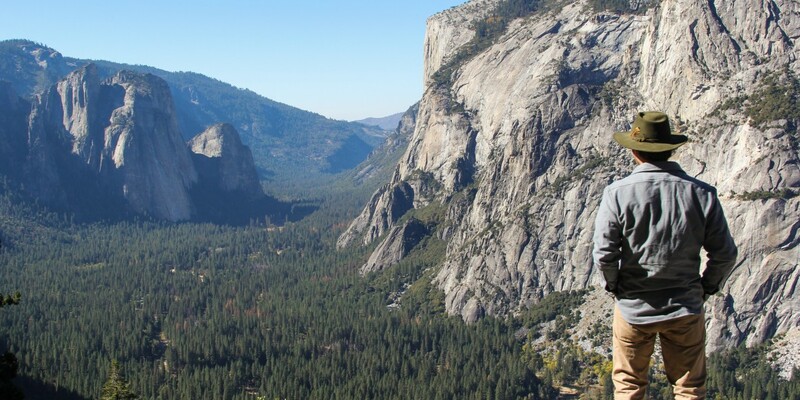 A guide service offers horseback rides to Glacier Point if hitching a ride sounds like a better option. Beauty and serenity at Zumwalt Meadow near Road's End + Cedar Grove. Photo by Aron Bosworth. John Muir spent considerable time in King's Canyon in the Southern Sierra. From Road's End, the terminus of Highway 180 that leads into King's Canyon National Park, trails frequented by Muir are a short hike away. 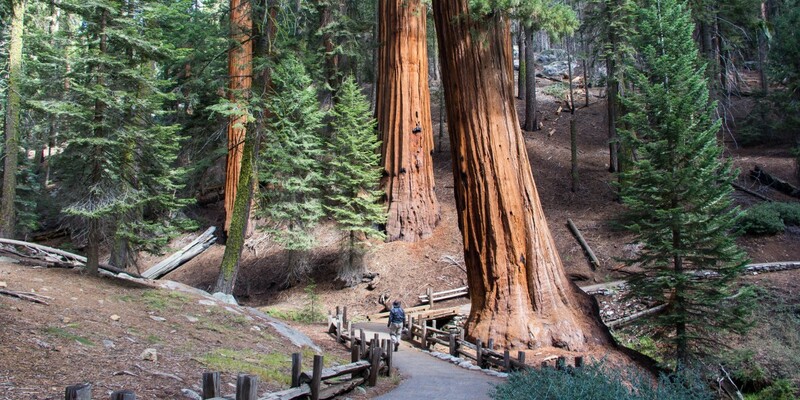 Hike amongst giant sequoias in Sequoia National Park. Photo by Aron Bosworth. The west slope of the Sierra Nevada is the only place in the world where giant sequoias grow naturally, and Sequoia National Park's Giant Forest is home to the largest. This includes General Sherman, the largest living tree by volume. Walking through Giant Forest is an awe-inspiring experience, one that Muir wrote about in detail. Relaxing on the banks of Upper Cathedral Lake beneath Tressider Peak. Photo by Aron Bosworth. When the snow melts and the road opens to Yosemite's high country, this 8-mile hike near Tuolumne Meadows in Yosemite National Park is one not to be missed. 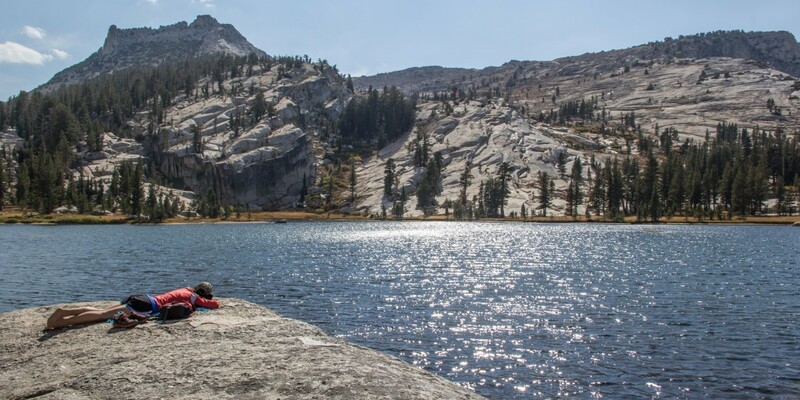 It follows the John Muir Trail (JMT) and ends at Upper Cathedral Lake. 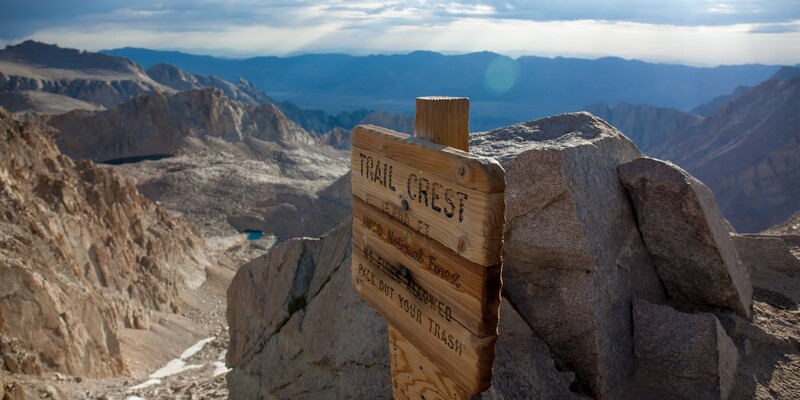 Trail Crest on the Mount Whitney Trail. Photo by Rini Sugianto. Mount Whitney in the Sierra Nevada is the highest point in the contiguous United States, standing at 14,505 feet. It is also the southern terminus of the John Muir Trail. The easiest and most popular summit approach is from Whitney Portal, a 22-mile trail that gains over 6,000 vertical feet from trailhead to summit. 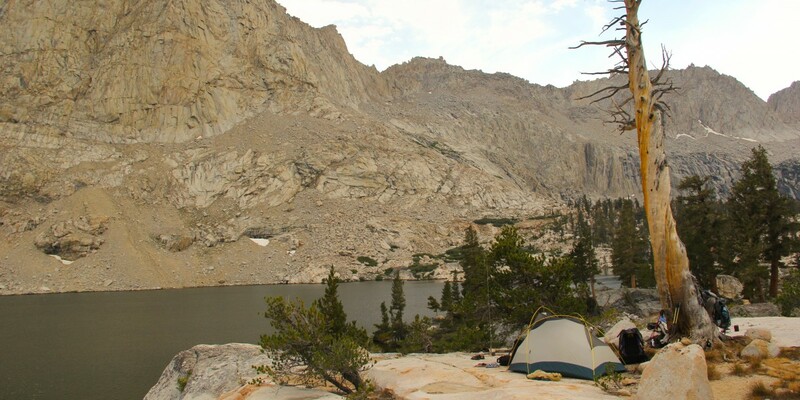 A backcountry camp at Middle Big Five Lake in Sequoia National Park. Photo by Aron Bosworth. The Mineral King area in Sequoia National Park goes deep into the Southern Sierra high country. This 27-mile long loop climbs over both Glacier Pass and Sawtooth Pass and hosts a good mix of trail and cross-country travel. Looking back toward Tuolumne Meadows and Lembert Dome from the base of Cathedral Peak. Photo by Aron Bosworth. 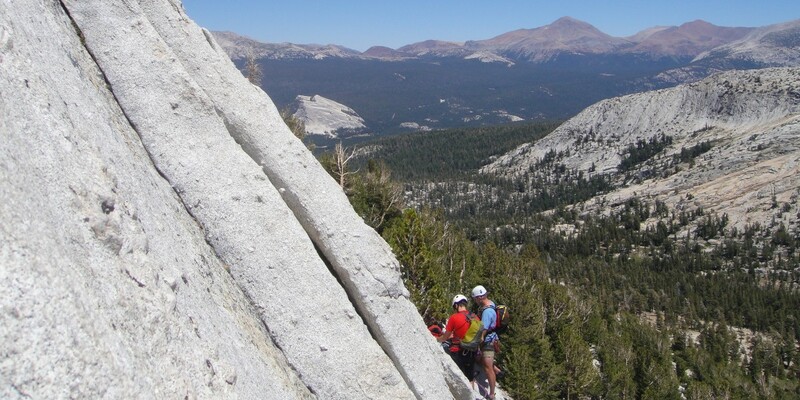 Cathedral Peak is a great beginner trad climb in Yosemite National Park. The views from the 10,912-foot summit are nothing short of dramatic. John Muir made the first ascent of the peak, purportedly in his wool suit, in 1869.